Happy New Year Sew This Is It Family! 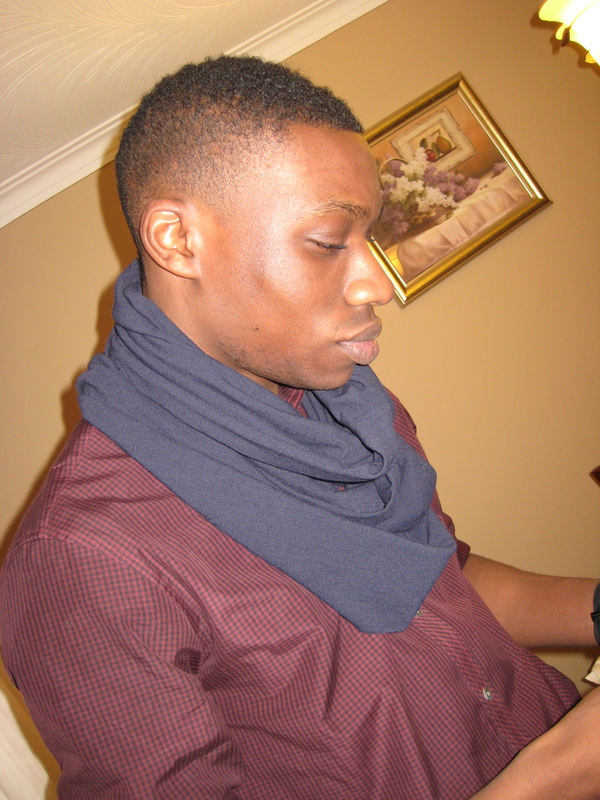 2011 is looking good for me and I kicked off the new year by giving very special gifts over the holiday season. Over the years Christmas in my family had started to become less and less about giving from the heart. I’m not sure when my siblings and I stopped getting gifts under the tree (or when we even stopped having a tree), but in my family Christmas means cash. Not cash in a card, or even cash in an envelope, but just my mother and father opening their wallets and counting out cash for my brother, sisters, and I. I’m not saying I’m not grateful. At 24, as a starving artist/law student, I’ll take all the cash I can get, however I miss the days of being surprised and tearing off wrapping paper. Even with my siblings, the genuine gift giving had waned. Some years we haven’t even wrapped each others gifts and its even gotten to the point where we blatantly ask the other person “what do you want for Christmas?” While this has become the norm, I’ve gotten quite sick of it. I miss the joy of opening a gift from someone who thoughtfully picked it out for me. So in kicking off a new year with a new attitude I decided to start with the holidays and give everyone in my family gifts that I hand-made for each of them. 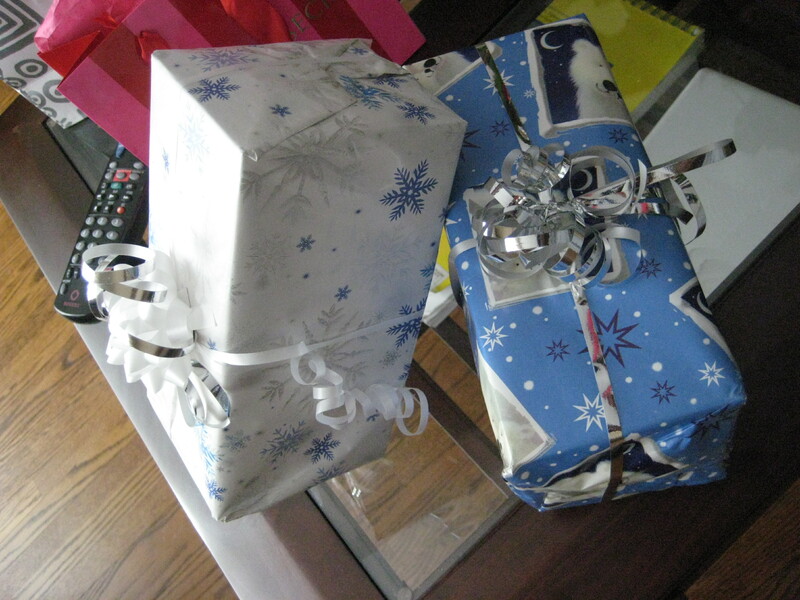 I even stayed up all night carefully wrapping them with ribbons and bows. 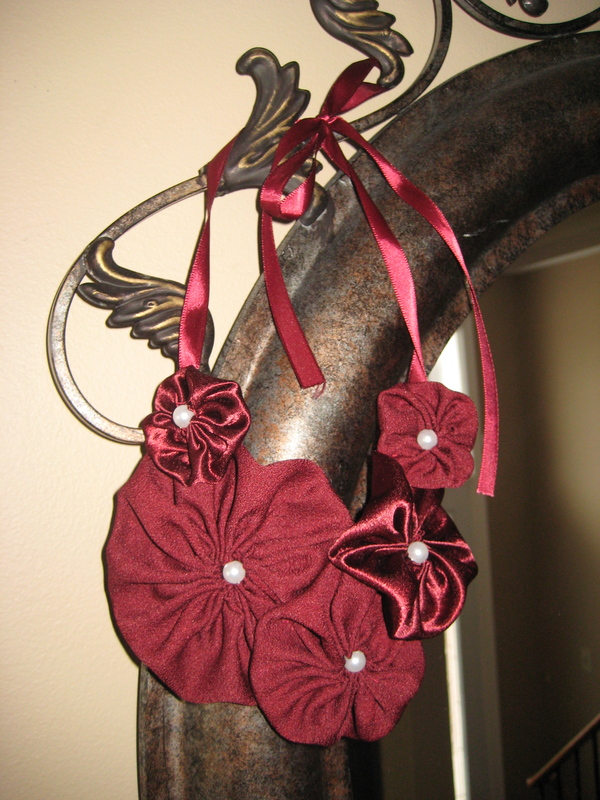 For my younger sister I made a velvet and pearl bib necklace with a satin ribbon enclosure (below). 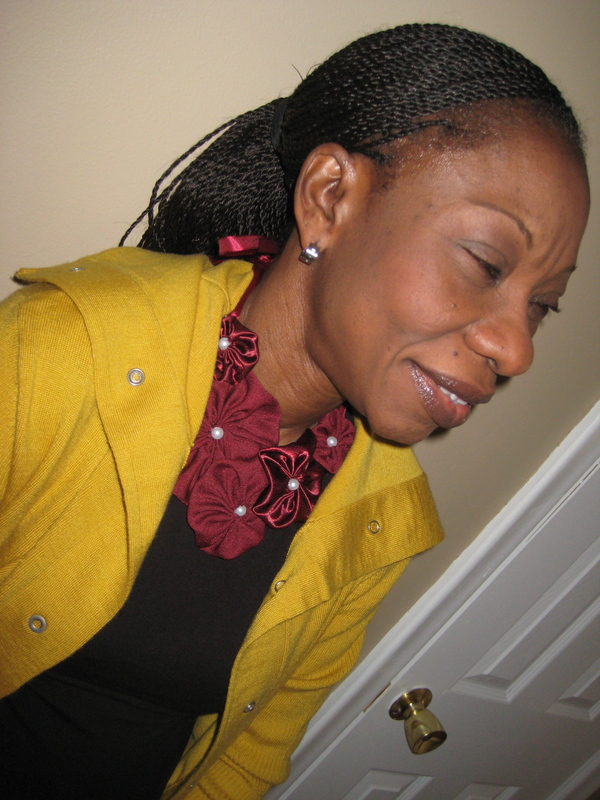 For my mother I made a satin-back crepe bib necklace with alternating sating and crepe applique and a satin ribbon enclosure (below). 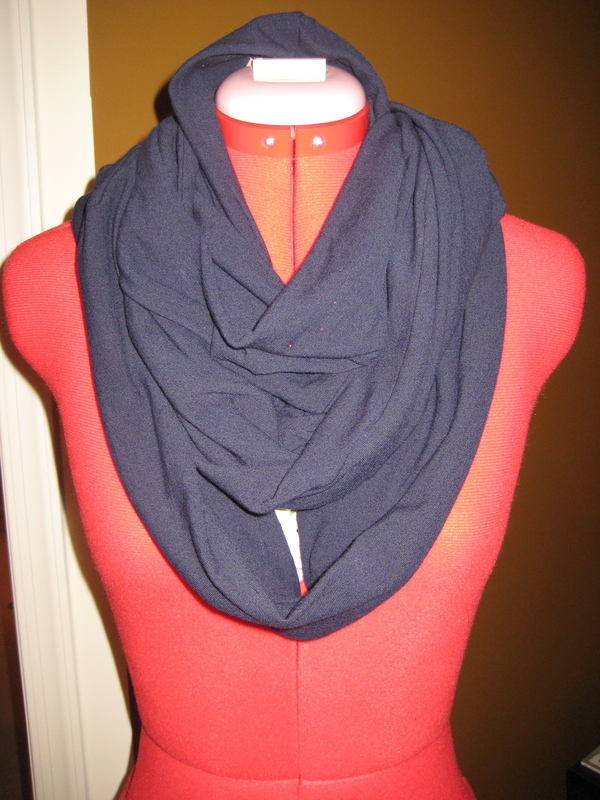 For my brother I made a navy blue jersey wool encircle scarf (below). My family was extremely pleased with their gifts and I got that warm fuzzy feeling inside that comes from truly giving from the heart. 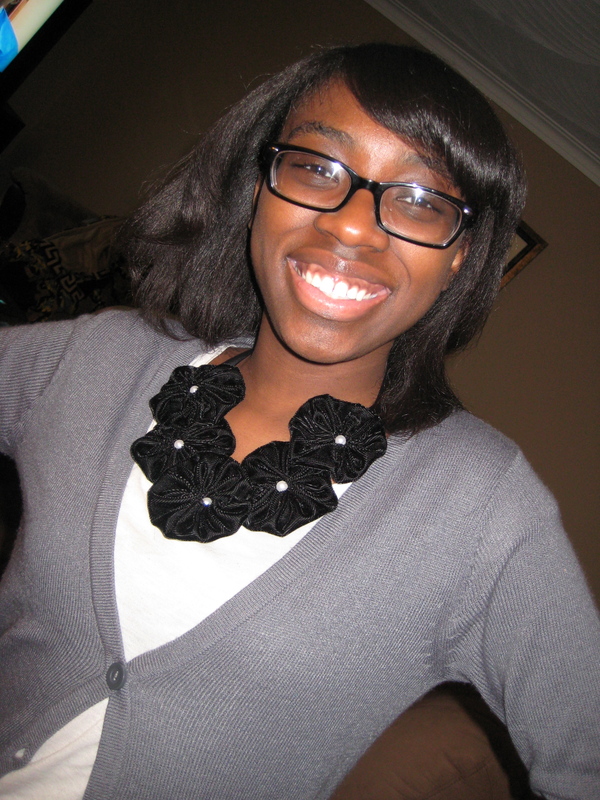 Not to mention I got to debut the first items from my accessory line that will be on sale very soon. 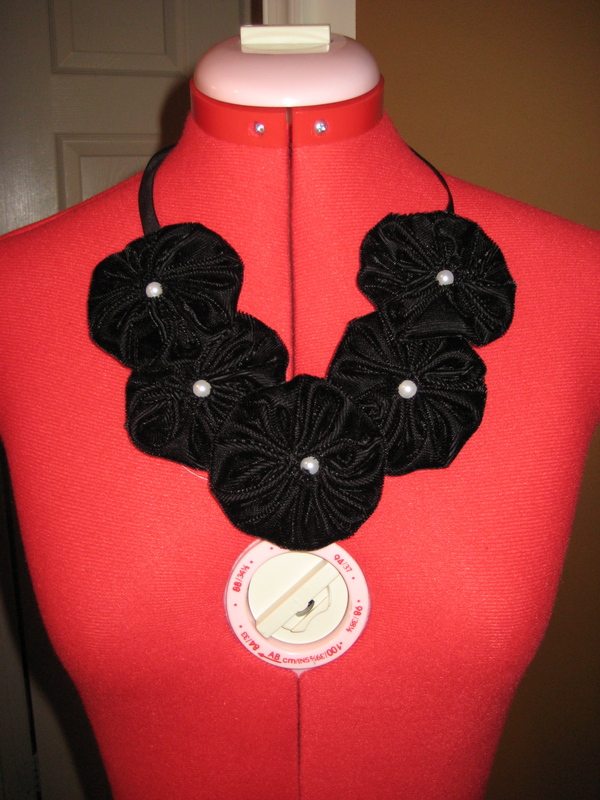 This year I have a new attitude and Sew This Is It has a new address…in case you didn’t notice we are a dot-com now! Look out for more to come this new year! ← Baubles, Bracelets, and Bling…OH MY!